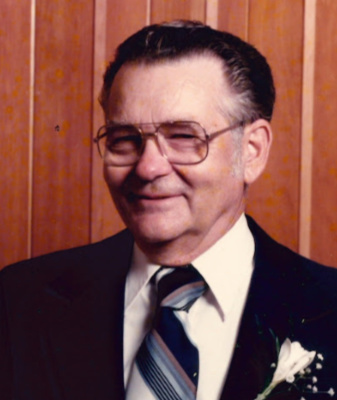 Carl J. Pearl, 89, of Lancaster passed away on January 31, 2019 at Hospice & Community Care. He was the loving husband of the late Beulah (Buch) Pearl. Born in Thorndale, PA, he was the son of the late J. Carl and Florence (Hannum) Pearl. After graduating from high school, he spent 47 years with Lukens Steel Company as an electrician before retiring in 1994. In his spare time, he enjoyed deep sea fishing, working in the yard and other outdoor activities, and spending time with his loving family. A jokester by nature, he was always good for a laugh between family and friends. Carl was a longtime member of V.F.W. Post #7294 in Millersville. He is survived by a daughter, Deborah P. McManus; a son, Carl J. Pearl, Jr.; two granddaughters Michelle Fox and Alyssa Pearl and two great-grandchildren. Also surviving is a sister, G. Mildred Summers. He was predeceased by a brother, Robert Pearl. I am thinking of you and sending all my thoughts and prayers to you during this difficult time. I hope that both your parents are happy being back together after 66 yrs of marriage. I was truly sadden by their loss. Keep your chin up and better days will come along even if it take 1 day at a time. Call me if you want to get together for a drink and dinner … No strings.. So sorry to hear about your Mom and Dad and only being 6 months apart. After 66 yrs of marriage, they can now start their next journey together. I am sure they are happy being together. One day at a time … Don’t let anybody tell you different.